Iran has again threatened to attack Israel. Iranian National Security Council head Ali Shakhmani said Tuesday that if it continues to hit Iranian assets in Syria, Tehran will strike out at Israel. Iran had no intention of leaving Syria, he said. “We will use well thought-out strategies and respond appropriately, to teach the lying, criminal leaders of Israel a lesson.” Shakhmani made the comments Tuesday afternoon, as unconfirmed reports said that another Iranian plane had taken off from Tehran on its way to Syria. Last week, a Lebanese newspaper reported that Iranian forces have been assembling on the Syrian side of the Golan border. In recent weeks, Iranian troops and militia forces associated with Iran – along with Hezbollah forces – have been taking up positions in Syria, very close to the Golan border, Al-Jadid said in the report. Some of the forces have positioned themselves within Druze villages – creating a dilemma for Israel, which would prefer to avoid attacking villages with Druze populations so as not to alienate its own Druze residents, the report said. The area is one that Iran has been told to stay away from by Russia, the report added. Iran warned Israel on Tuesday of a “firm and appropriate” response if it continued attacking targets in Syria, where Tehran has backed President Bashar al-Assad and his forces in their nearly eight-year war against the Syrian opposition. Israel, which views Iran as its biggest security threat, has repeatedly attacked Iranian targets and those of allied militia in Syria. With an election looming in April, Israel has been increasingly open about carrying out its air strikes. In a meeting with Syria’s Foreign Minister Walid al-Moalem in Tehran, the secretary of Iran’s National Security Council Ali Shamkhani said the Israeli attacks violated Syria’s territorial integrity and were “unacceptable”. “If these actions continue, we will activate some calculated measures as a deterrent and as a firm and appropriate response to teach a lesson to the criminal and lying rulers of Israel,” Shamkhani was quoted as saying by Fars news agency. Israeli Prime Minister Benjamin Netanyahu said last month that Israeli forces would continue to attack Iranians in Syria and warned them to “get out of there” fast. In January, Israeli warplanes carried out an attack on what they called an Iranian arms cache in Syria. Iran has also repeatedly said it will keep military forces in Syria. With tensions high along Israel’s northern border, hundreds of soldiers from the IDF’s Givati reconnaissance battalion are completing a drill simulating war with Hezbollah. 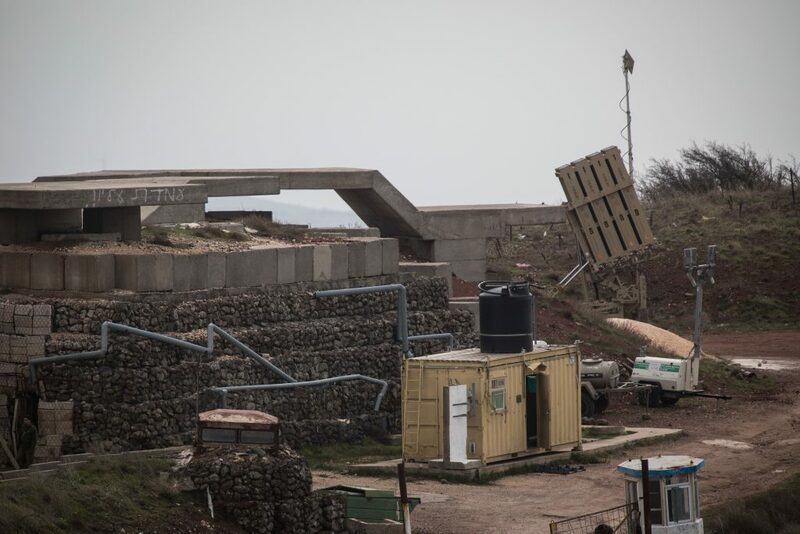 Some 200 to 300 troops drilled along the Lebanese border “against a challenging enemy which has been getting stronger over the past few years,” Maj. Alon Peiser, deputy commander of Givati’s Gadsar reconnaissance battalion, told The Jerusalem Post on Tuesday. The drill, which ends on Thursday, is part of a four-month-long drill carried out by the Givati infantry brigade in northern Israel. It saw troops train on a variety of scenarios alongside tanks, Namer heavy armored vehicles and helicopters from the Israel Air Force. The IDF has significantly stepped up the scope and frequency of its combat training to improve its readiness. As part of the IDF’s five-year Gideon plan, the military has returned to 17 weeks of consecutive training, an increase from the 13 weeks soldiers trained for the past 15 years. Last week, the troops belonging to the 450th battalion from the IDF’s school for Infantry Corps Professions and Squad Commanders (also known as Bislamach), completed a large scale drill in northern Israel, also simulating war against Hezbollah. “In war, our troops will march toward the enemy and when they meet him, they will kill him. We will defeat the enemy in the minimum amount of time and with the minimum amount of collateral damage,” he said. Israel and Hezbollah fought a 34-day war in 2006, and in recent months tensions have once again risen along the northern border. In December, Israel launched Operation Northern Shield to detect and neutralize cross-border attack tunnels dug by the Iranian-backed Shi’ite organization. Israel believes that the tunnels would have been used by the Hezbollah’s elite Radwan unit to infiltrate into Israel in an attempt to take control of several communities and kill as many civilians and troops as possible. Israeli officials have also repeatedly voiced concerns over Iran’s presence in Syria and the smuggling of sophisticated weaponry to Hezbollah from Tehran to Lebanon via Syria, stressing that both are redlines for the Jewish state. To prevent Iran’s military entrenchment in the war-torn country, Israel has carried out numerous airstrikes over the past five years. On Monday, Iran’s Foreign Minister Javad Zarif accused Israel of “being the main opponent to peace in the region,” during a meeting with his Syrian counterpart Walid al-Moallem, who was in Tehran to discuss ongoing coordination and consultation between Syria and Iran. Moallem met earlier with Iran’s Secretary of the Supreme National Security Council Rear Admiral, Ali Shamkhani, who warned that Israel would “receive a decisive response” if it were to continue to carry out airstrikes in Syria. But for Peiser, his troops are ready. The most high-profile US ambassador in Europe, Richard Grenell, compared on Saturday the Islamic State’s brutality with the execution sprees in the Islamic Republic of Iran. Islamic State has engaged in public executions of gay men, including tossing gay men from buildings. Iran’s mullah regime and the Islamic State despise the LGBT community and both prescribe capital punishment for gays and lesbians. As of 2016, the LGBT human rights advocacy organization OutRight Action International documented 90 murders carried out by the Islamic State during the period 2014-2016. According to a 2008 British Wikileaks dispatch, the Islamic Republic of Iran executed “between 4,000 and 6,000 gays and lesbians” since the 1979 Islamic revolution in Iran. The Post first reported in the major media about the Iranian regime’s public hanging of a 31-year-old man based on the clerical regime’s lethal anti-gay law. The Pentagon has launched an investigation into alleged Saudi transfers of US military hardware, from rifles to armored vehicles and tanks, to the hands of Islamist radical groups in Yemen. Some of the hardware, which was transferred in contravention of legally binding commitments to obtain US permission before doing so, has even ended up in the hands of Iran-allied Houthi militias, opening up the possibility that Iran could study sensitive American military technology and ultimately endanger US forces elsewhere in the region. The revelation came in an exclusive report Monday by CNN, which sent undercover reporters into Yemeni towns to find the weapons. The “not-so-hidden black market” is helping to drive “the demand for hi-tech American weapons and perpetuating the cycle of violence in Yemen,” the report said. 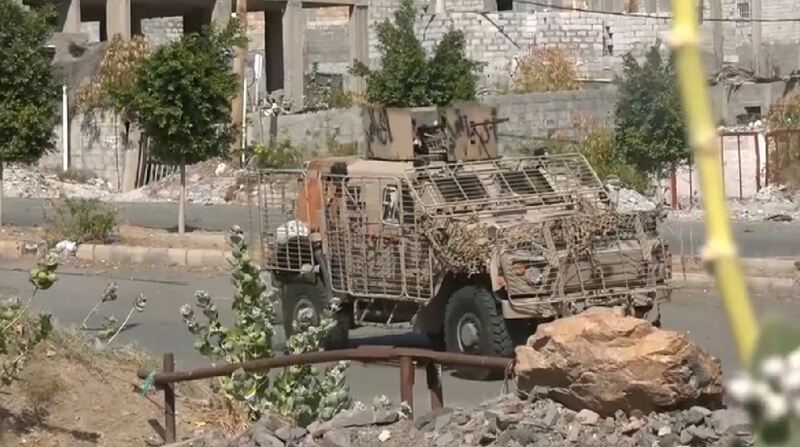 Some of the weapons systems have made their way to the Yemeni affiliate of al-Qaeda, known as al-Qaeda in the Arabian Peninsula (AQAP), which has fought in the Taiz area and once paraded US-made Oshkosh armored vehicles through the city’s streets. 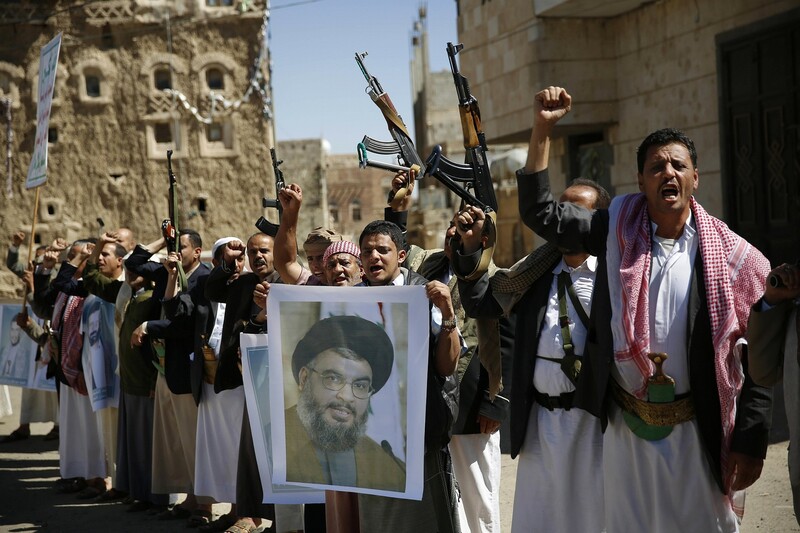 Today the group, labeled a terror organization by the US, fights as part of the Saudi-backed Yemeni army. 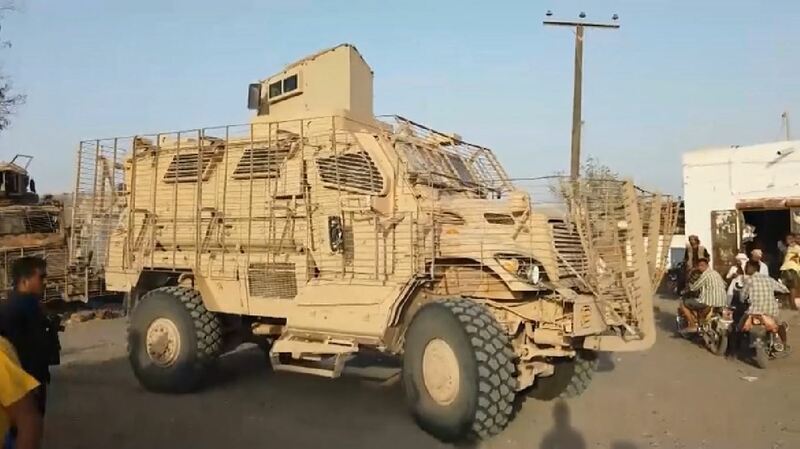 Other systems, such as the MRAP, or Mine-Resistant Ambush Protected, armored vehicles, were found in the port city of Hodeida in the hands of a radical Salafist group known as the Giants Brigade. The vehicles were built by Navistar and sold in 2014 to Abu Dhabi, where they were incorporated into the United Arab Emirates armed forces, which transferred them to factions in the Yemeni war, according to the report. He insisted the Giants Brigade was “part of Yemeni forces,” and its possession of the MRAP vehicles amounted to “collective possession” of the UAE-backed coalition. MRAPs are a vital part of the US military’s efforts to protect American soldiers from roadside bombs, also known as improvised explosive devices (IEDs), which are responsible for most combat deaths each year. “In September 2017, a Houthi-run TV channel broadcast images of Mohammed Ali al-Houthi, the de facto rebel leader, proudly sitting behind the wheel of a captured US-made MRAP in the capital Sanaa, as a crowd chanted ‘death to America’ in the background,” the network reported. It claimed to have evidence of at least one more MRAP falling into Houthi — and thus Iranian — hands last year. BRUSSELS — The EU warned Tehran over its ballistic missile program and interference in the Syria conflict Monday, while welcoming a new mechanism to trade with Iran while bypassing US sanctions. In a long-awaited statement on Iran that has been the subject of more than a week of wrangling in Brussels, the EU restated its commitment to saving the 2015 nuclear deal with Iran and took aim at Washington for abandoning the pact and reimposing sanctions. But with numerous European powers growing increasingly concerned about Tehran’s missile program, meddling in several Middle East conflicts and recent attempted attacks on opposition figures living in the EU, the bloc urged Iran to mend its ways. “The (EU) Council has serious concerns regarding Iran’s military involvement and continuous presence of Iranian forces in Syria,” the statement said. Iran is a key supporter of Syrian President Bashar Assad and the statement urged Tehran to use its leverage to get Damascus behind UN-led efforts to end the civil war, which has claimed more than 360,000 lives since it began in 2011. While defending the nuclear deal — which limited Tehran’s atomic ambitions in return for sanctions relief — Europe has sought to keep up pressure with sanctions, most recently listing Iranian intelligence services over plots to assassinate regime opponents on Dutch, Danish and French soil. Continuing Iranian missile tests have also alarmed the EU — not to mention countries in the Middle East — and Monday’s statement called on Tehran to stop such activities. 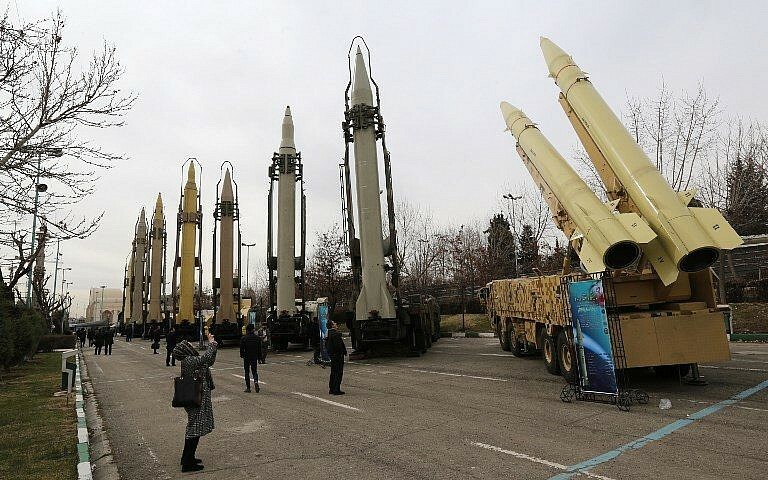 “Iran continues to undertake efforts to increase the range and precision of its missiles, together with increasing the number of tests and operational launches. These activities deepen mistrust and contribute to regional instability,” the statement said. Brussels hopes the new Iran trading mechanism — registered last week in Paris under the name INSTEX — will keep Tehran in the nuclear deal by preserving some of the economic benefits it received. Iran gave INSTEX a cautious welcome but US officials have dismissed the idea that the new entity would have any impact on efforts to exert economic pressure on Tehran. Before INSTEX can go live, Iran has to set up a similar entity of its own so the two sides can clear trading on a barter basis without transferring money. It is not clear how long this will take.